Team SoloMid have widely improved compared to the earlier weeks of the NA LCS Spring split. TSM’s most recent victory against TL, whilst close in the beginning, with kills being traded back and forth, displayed their superior team play in mid-game. Team Liquid, as the equal top team in the Spring split, are by no means any pushover for TSM despite their recent success. TL were able to completely wipe FlyQuest in the semi-finals of the Spring Playoffs, 3-0, establishing their dominance. This game will likely belong to the team who is able to safely transition an early lead to the mid game, considering the top two teams will be scrambling for picks and early kills. 2019 was an extremely vital year for SK Telecom T1 to prove to their fans, and the rest of the world, if they could return to peak form a disappointing 2018. While the performance may have been shaky in the first half of the LCK Spring Split, SKT proved their stand amongst its competitors, dominating the later weeks. SKT landed their spot in the finals following a 3-0 thrashing against Kingzone-X. Mata revealed in a secret interview: he believes Faker is not currently at his best right now but “he is getting there”. As the LCK Spring Split’s top team with a 15-3 standing on the leader boards, Griffin earned their right to directly qualify for the finals of the Spring Playoffs. Griffin remain a major hurdle for SK Telecom T1’s quest to the top, GRF having already defeated them twice (2-0) in the Spring split. If SKT manages to allow bot lane to carry and shot call, SKT stands a good chance. 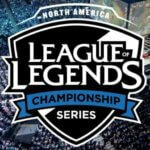 NA vs. EU: How will the best Western teams fare at Worlds?